Hafner-Pneumatik is the manufacturer of a complete range of high-quality valves for industrial automation purposes. 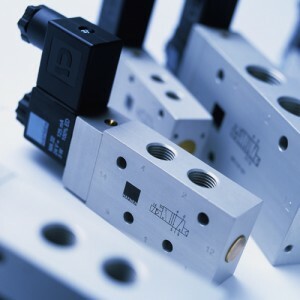 Our products are not only used in the general automation or the machine-building industries, but also in applications throughout the car, truck and process industries.Our customers enjoy the use of our valves because of their outstanding reliability offered at an extraordinary price/value ratio. As a highly flexible company, we rapidly assimilate technical innovations which allows us to react quickly to the demands of an ever changing market.Hafner-Pneumatik stands for over 30 years of knowledge and venture in the development of pneumatics. Manufacturing excellence, flexibility and customer responsiveness are the dominating elements of our corporate strategy. Marketed in Australia by Acrodyne under the Acro-Matic brand allows local stocking, product support and full system package supply across the breadth of Acrodyne’s actuation and instrumentation offerings.